Can Tosh's Android-powered netbook do enough to convince us? Can Android do for netbooks what it's done for smartphones? There's no denying that over the last couple of years we've witnessed a shift in the tech landscape. There's been the rise of the iPhone, the birth of the netbook, introduction of Android and, most recently, the coming of the tablet. All have contributed to creating a world in which our devices are increasingly portable but, in the confusion of manufacturers scrabbling to keep up with the trailblazers, some pretty odd devices have been chucked up. In our opinion the AC100 is such as device. 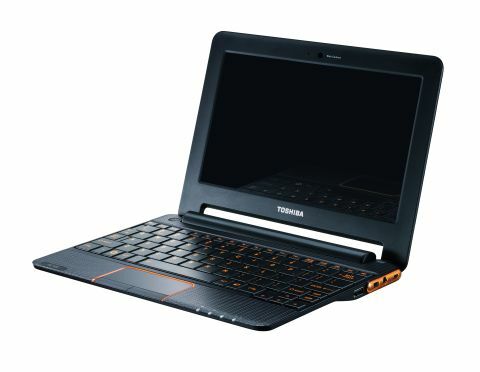 It's neither a netbook, tablet or smartphone but tries to be a little of all – and doesn't quite pull it off. Tohsiba designed the AC100 to be a mobile internet device (MID) for those after a portable web browsing experience but, while there's no doubt fundamentally the AC100 succeeds on this front, there are some issues. Most noticeably for us is the poor implementation of Android 2.1 – which the AC100 runs. We love Google's Android operating system on a smartphone, but without touch functionality it feels like a fish out of water, with poor usability being the outcome. But it's not all bad, and great build quality and portability make the AC100 a device that will certainly appeal to some.